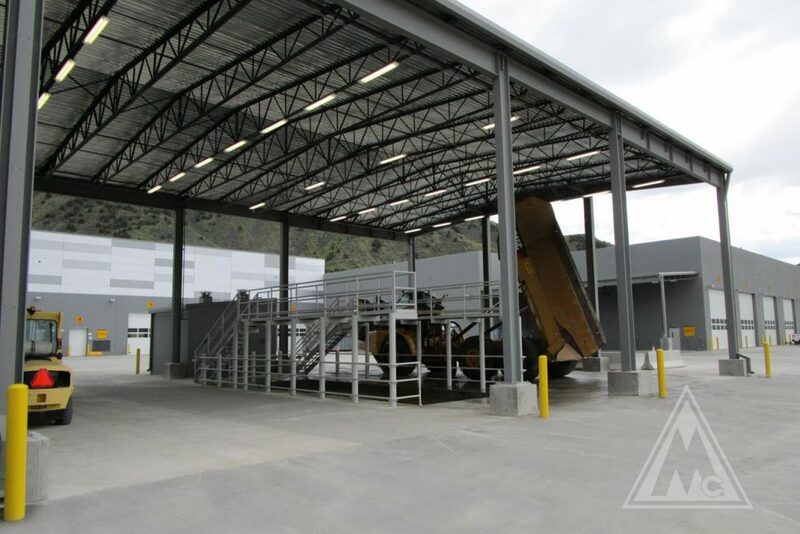 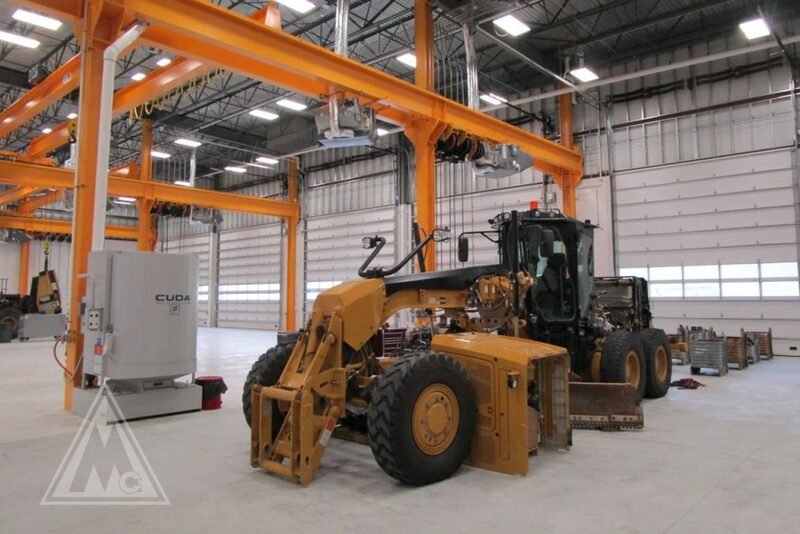 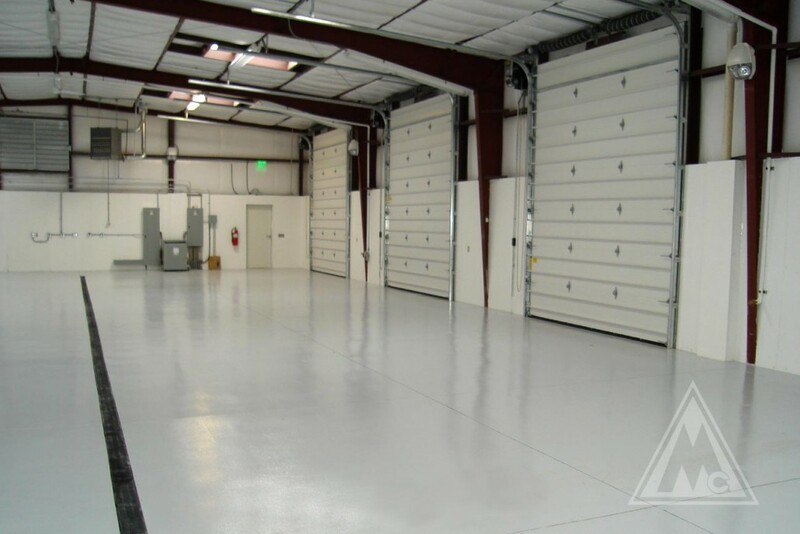 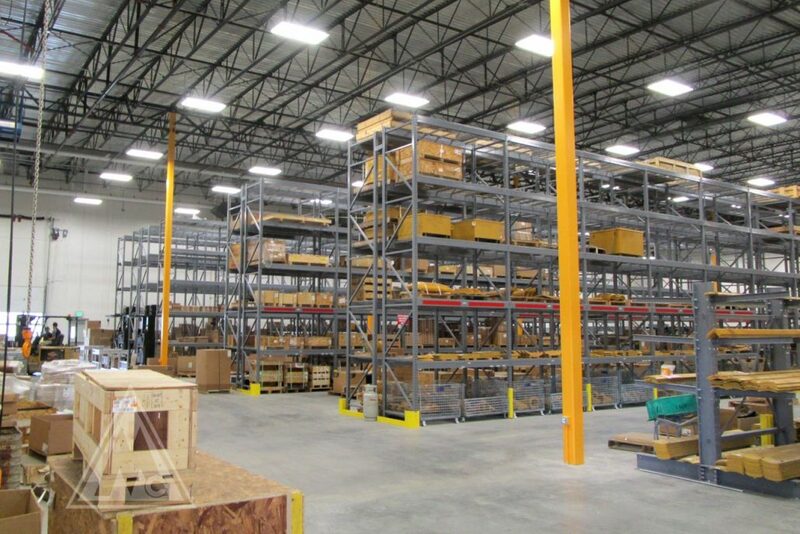 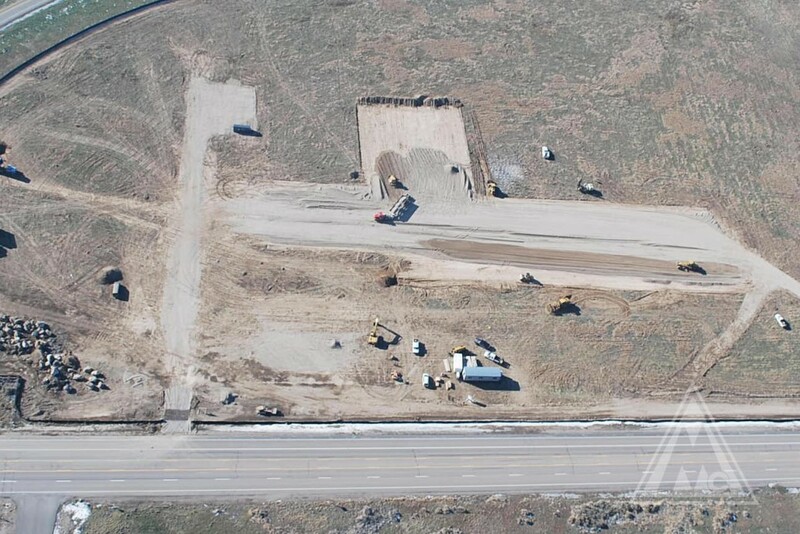 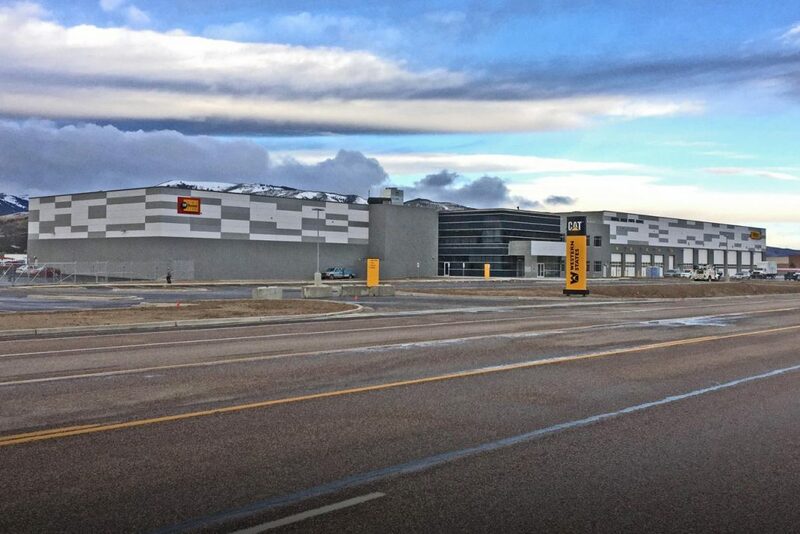 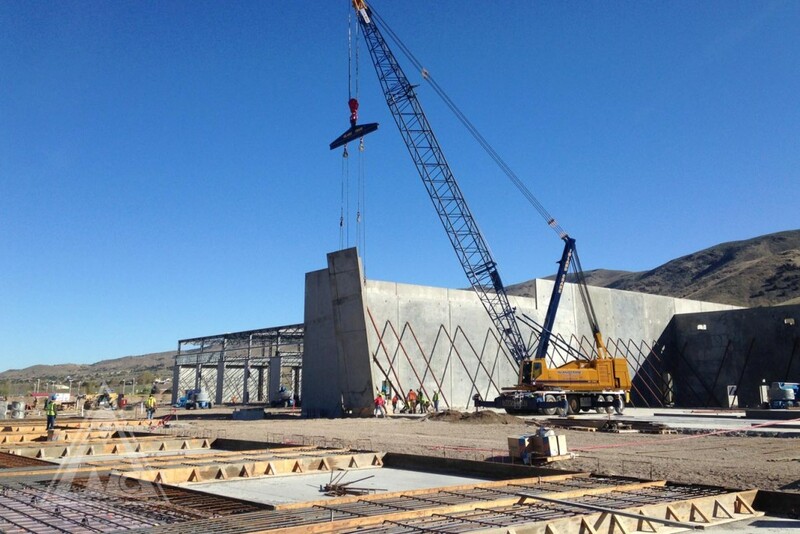 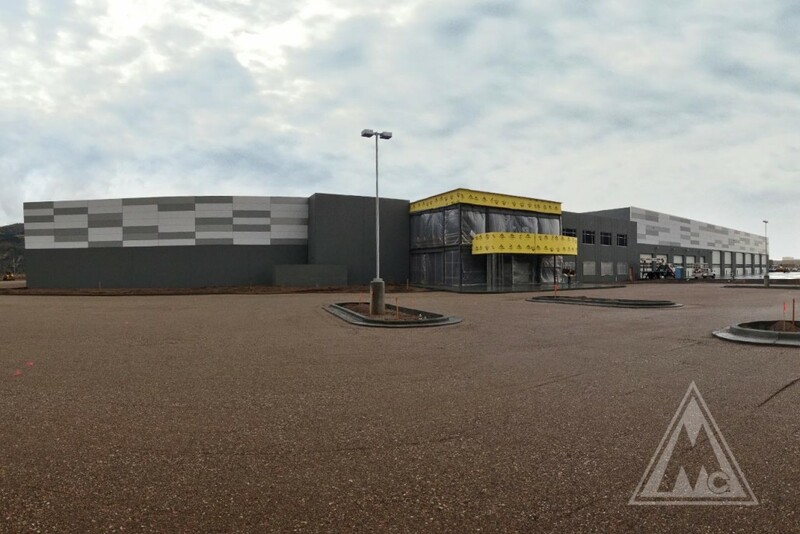 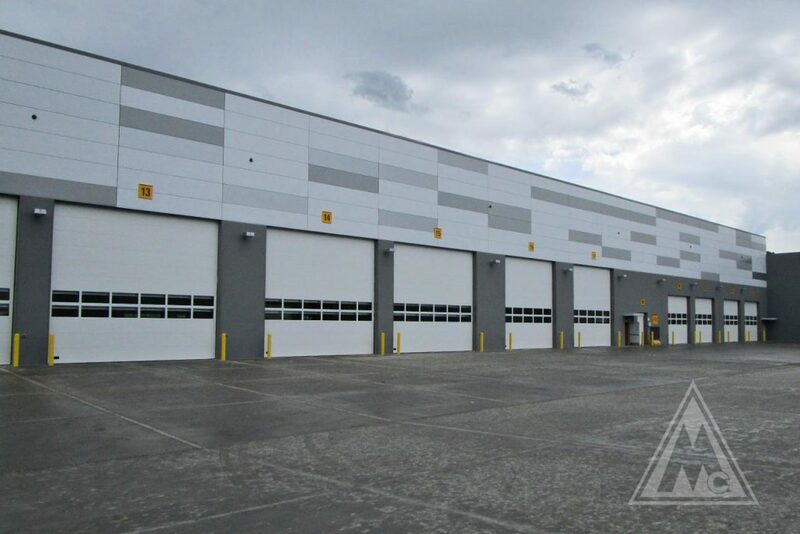 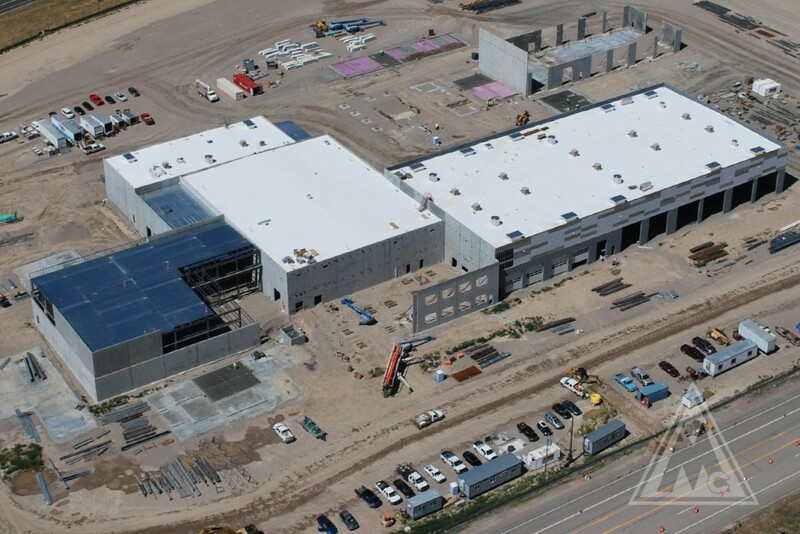 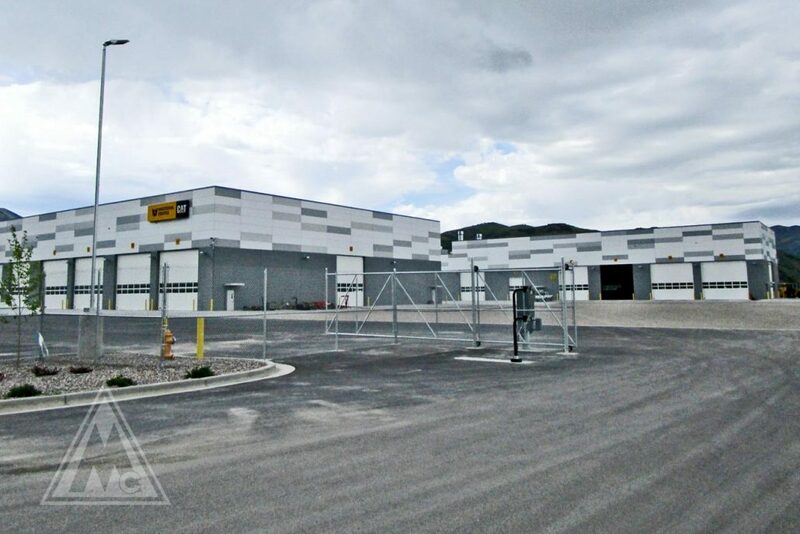 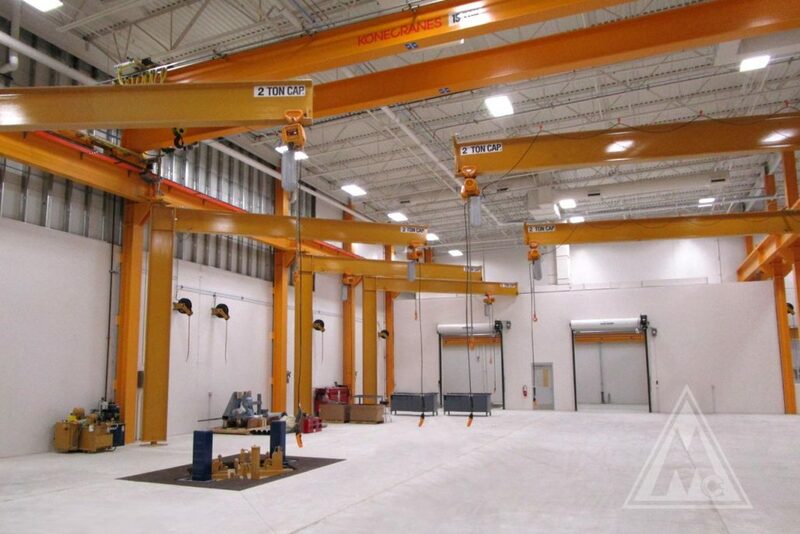 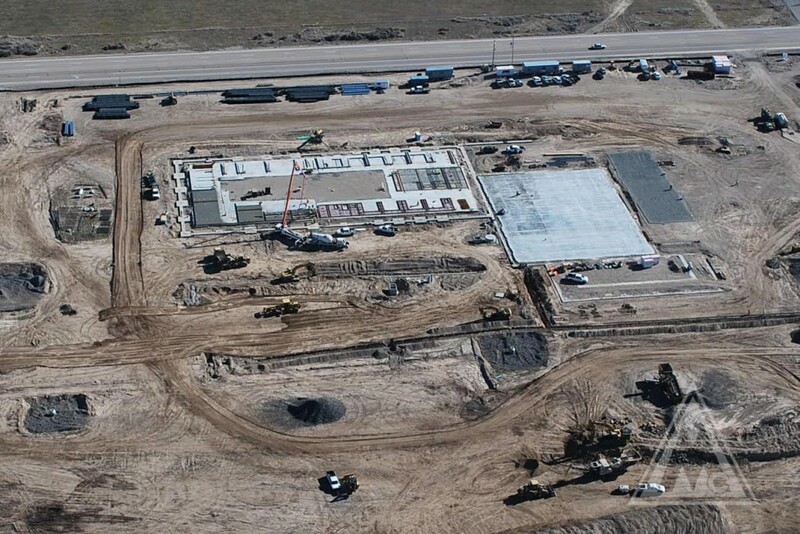 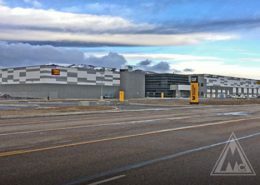 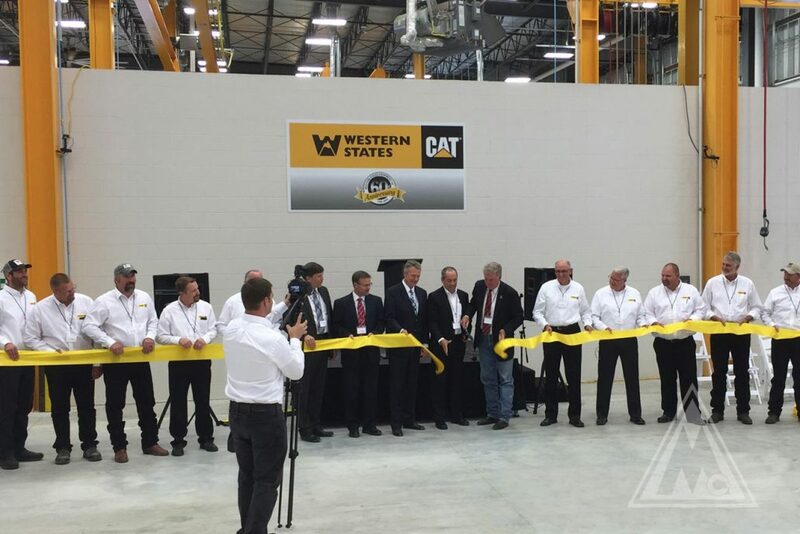 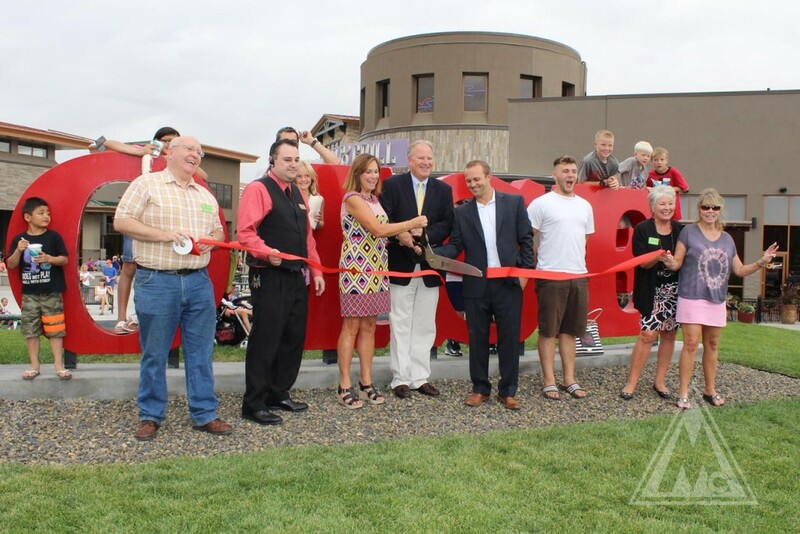 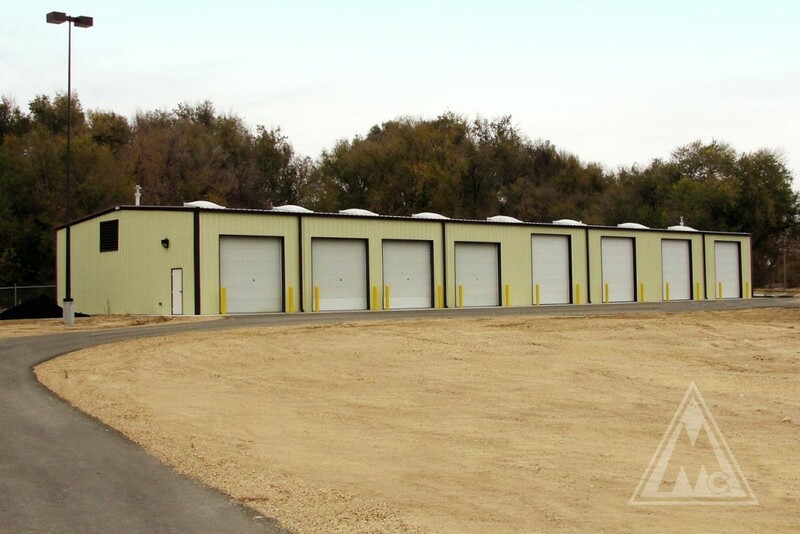 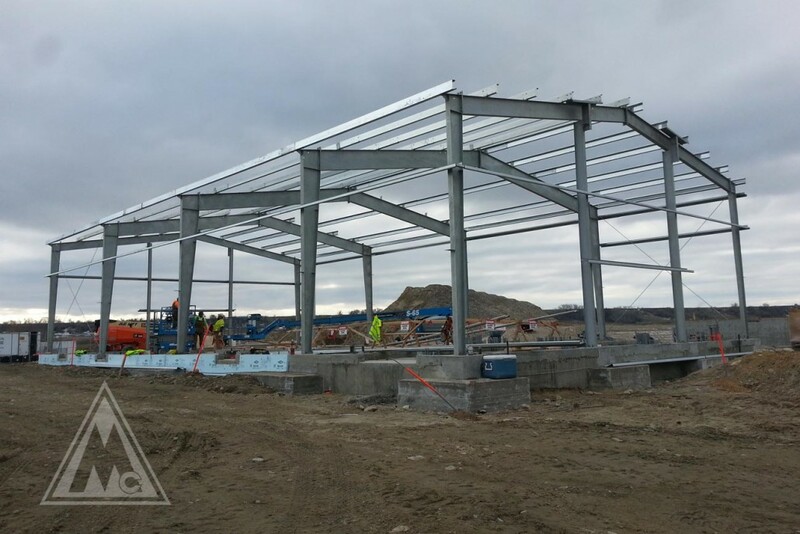 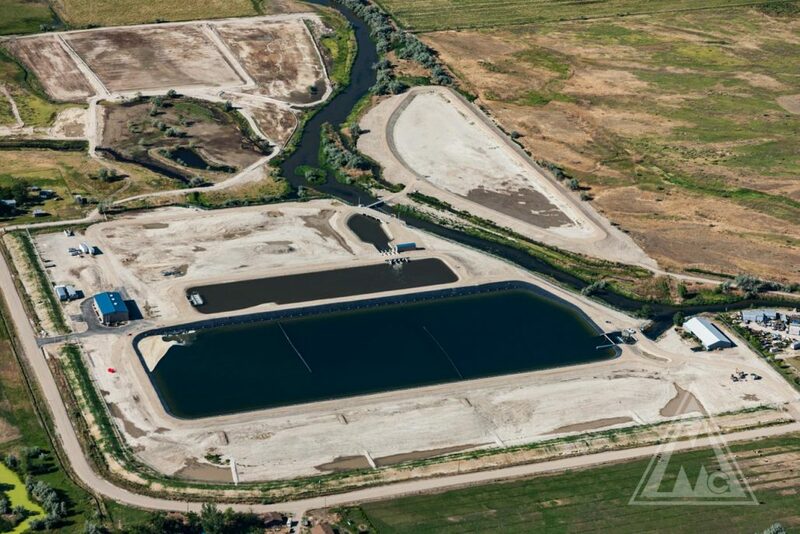 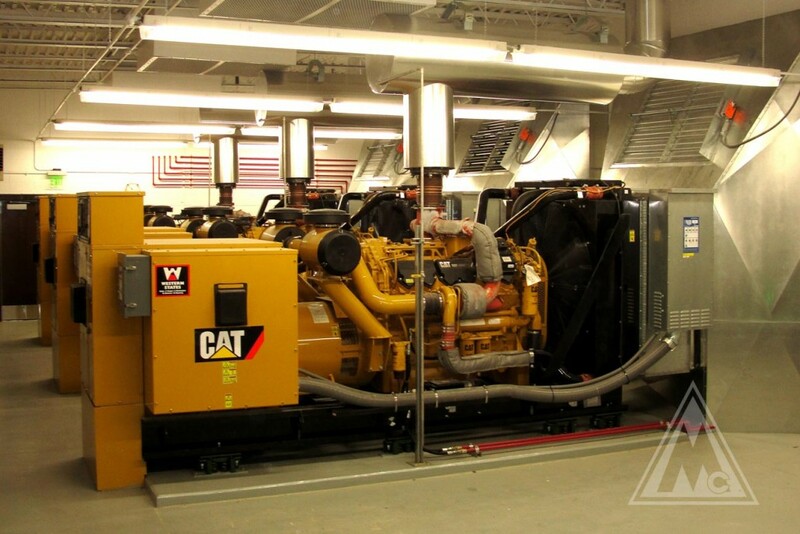 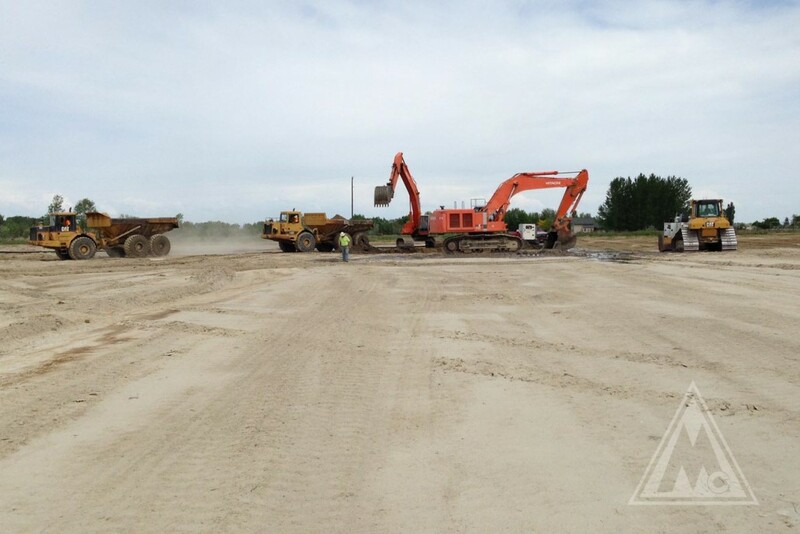 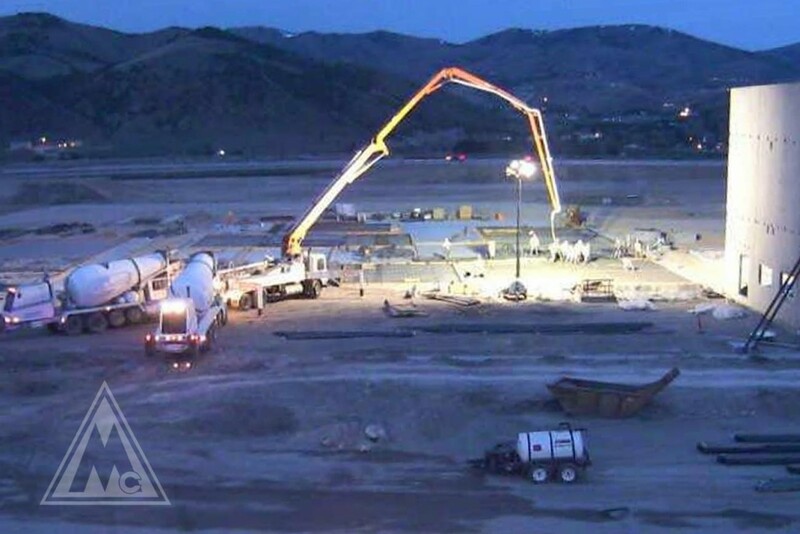 McAlvain Concrete, Inc. - McAlvain Companies, Inc.
Western States Pocatello is a new 157,000 sf Caterpillar Dealership with maintenance/parts, administrative offices, and truck wash. 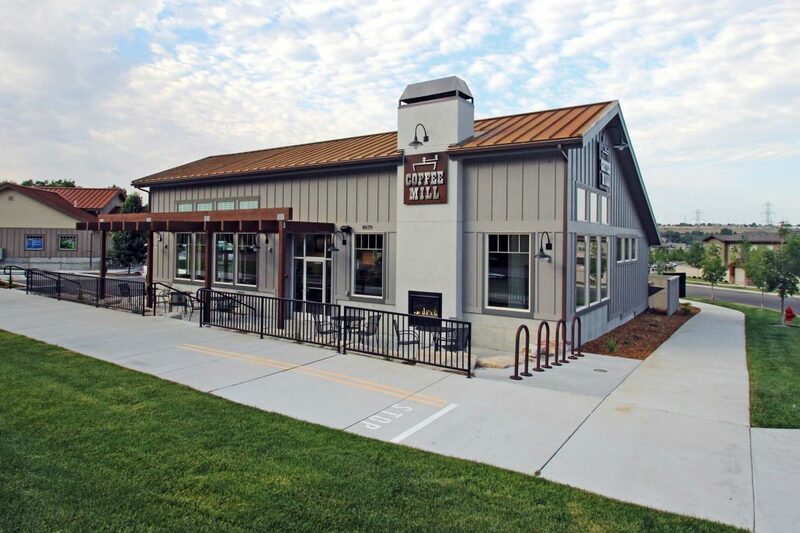 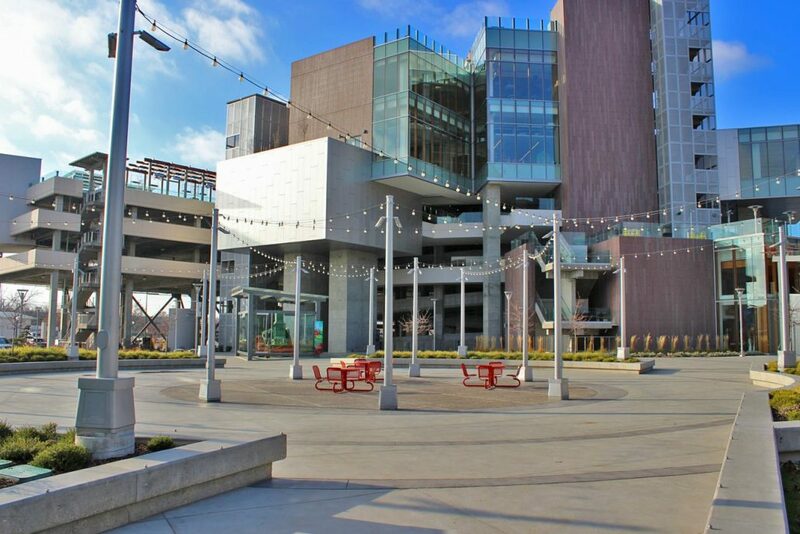 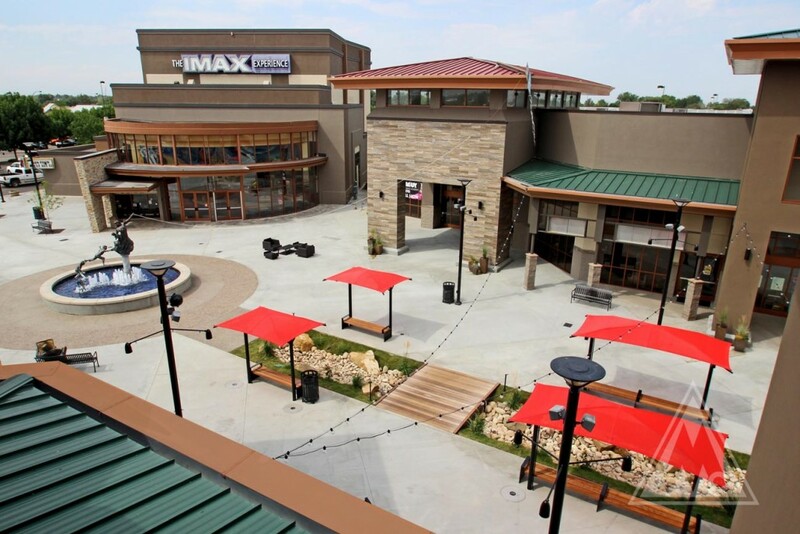 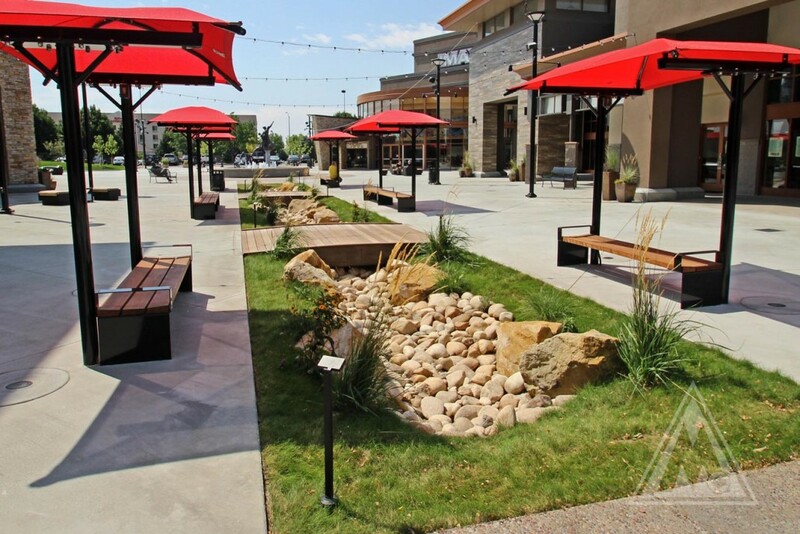 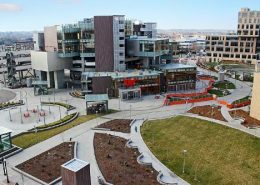 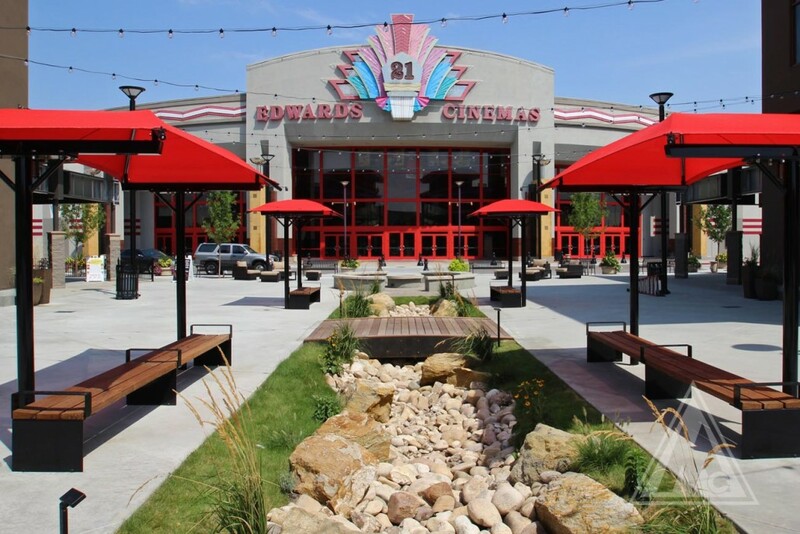 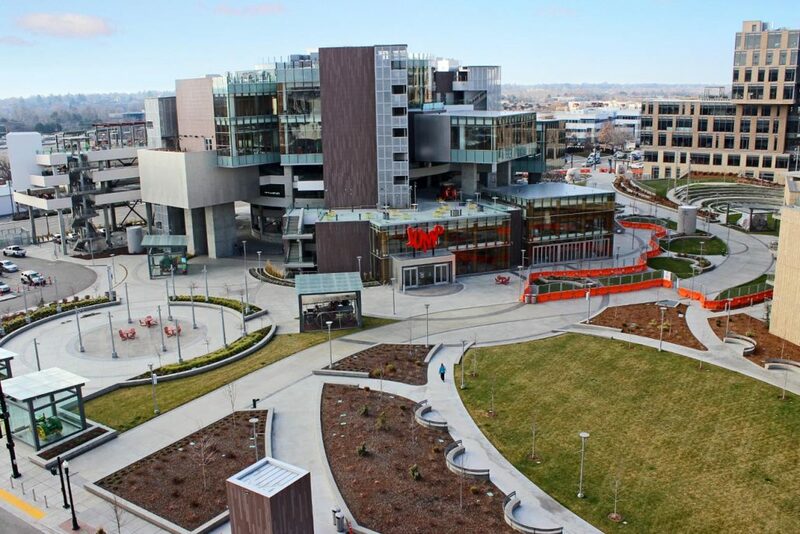 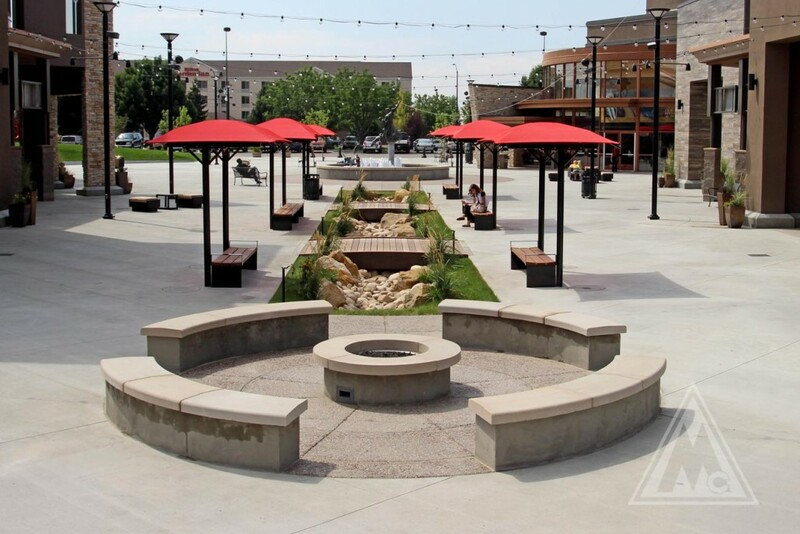 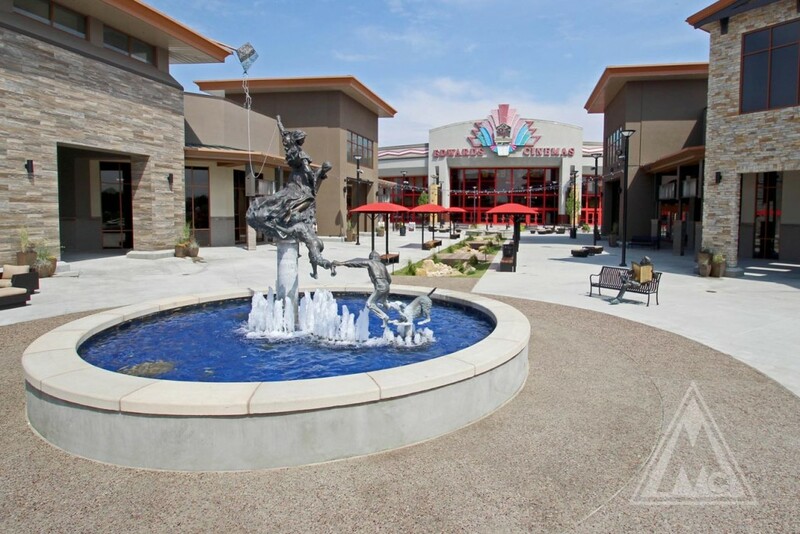 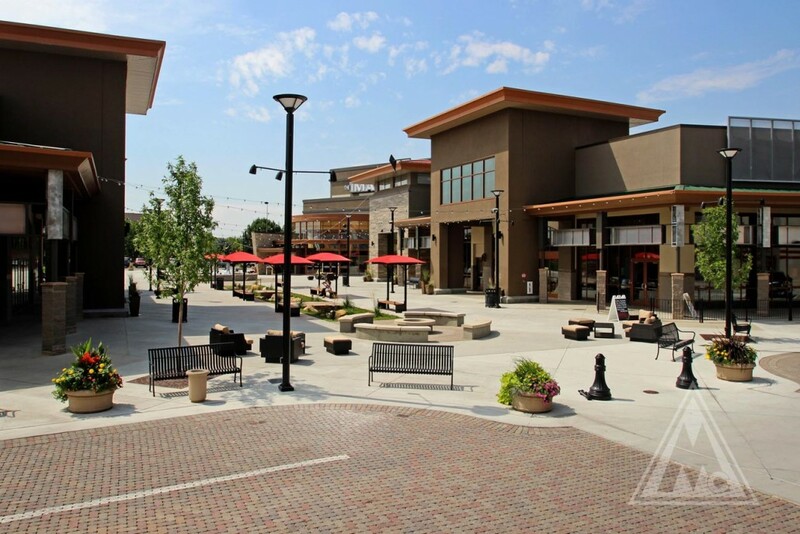 The Boise Spectrum Facade and Plaza Revitalization project replaced existing out dated facades with a stacked stone hardwood look while the plaza was reconstructed with a stone bed creek bed, benches with shade canopies, fire pit, re-facing the fountain, and site lighting. 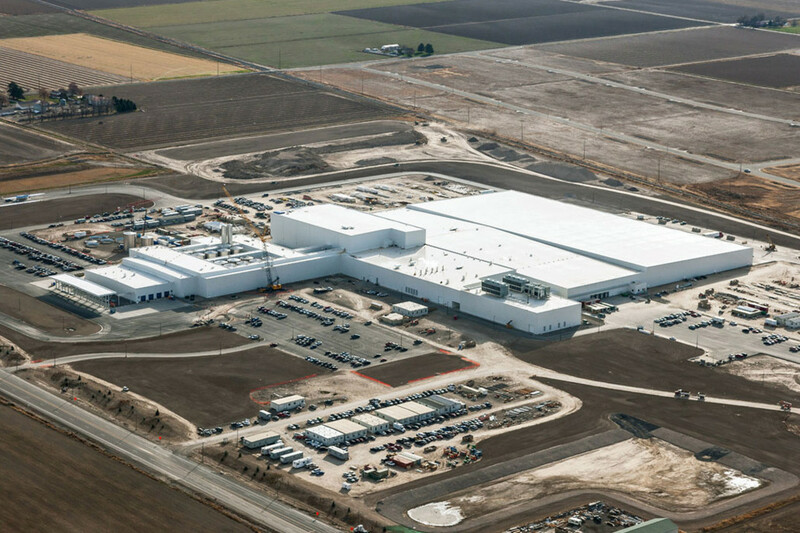 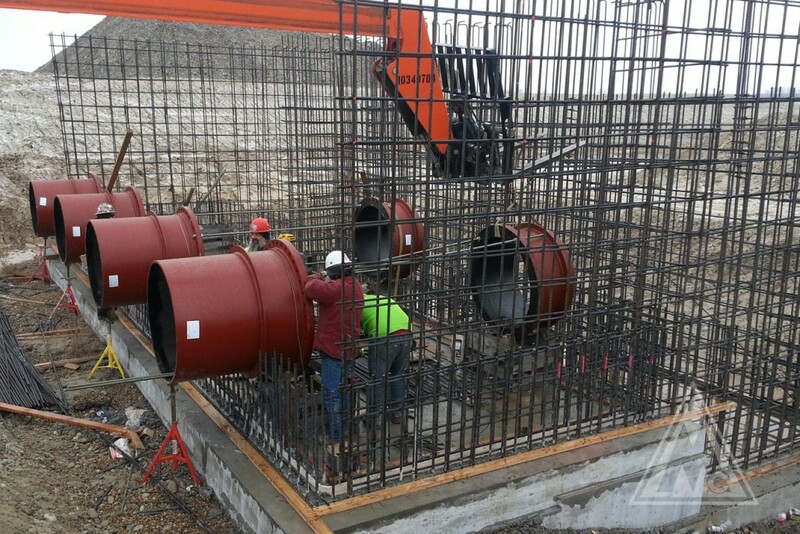 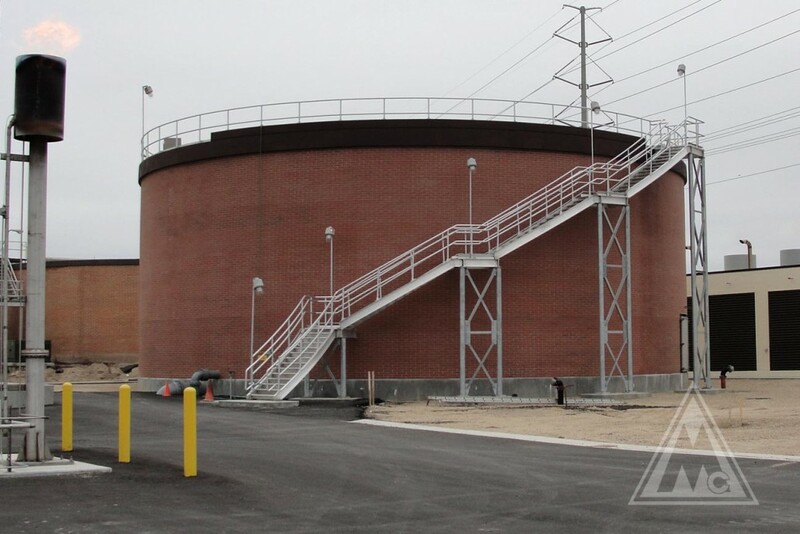 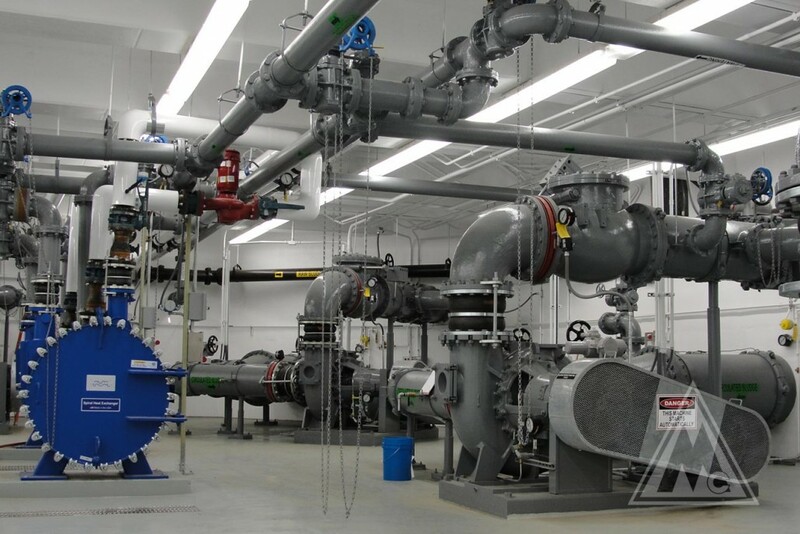 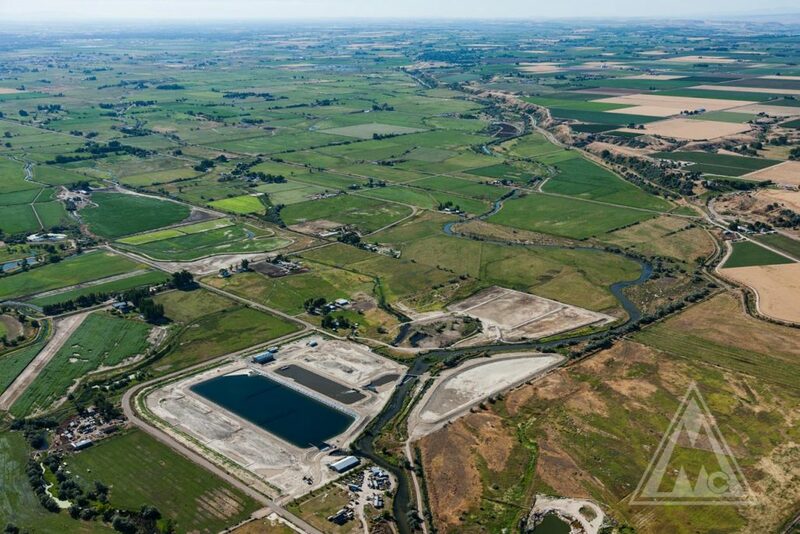 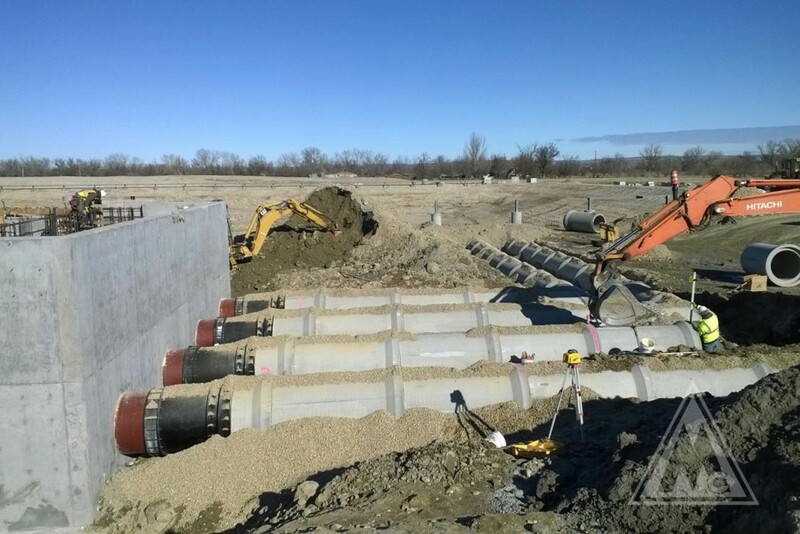 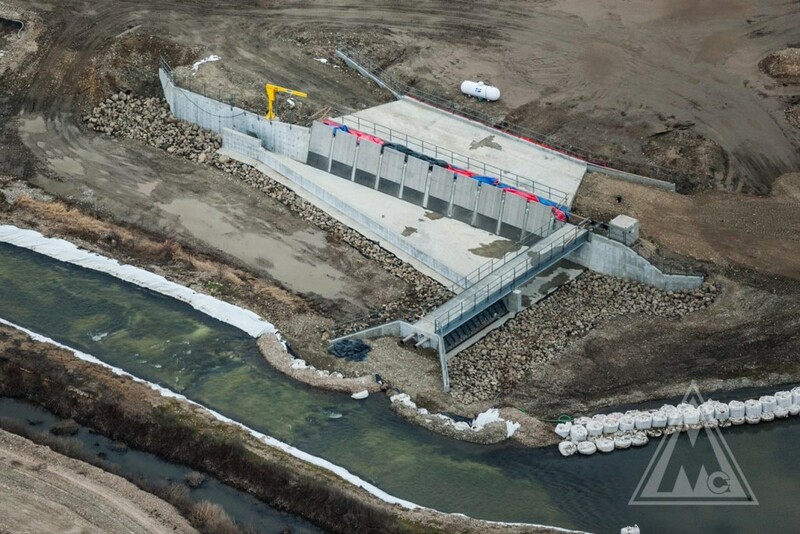 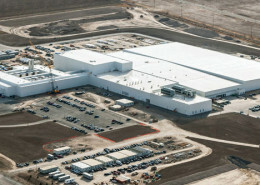 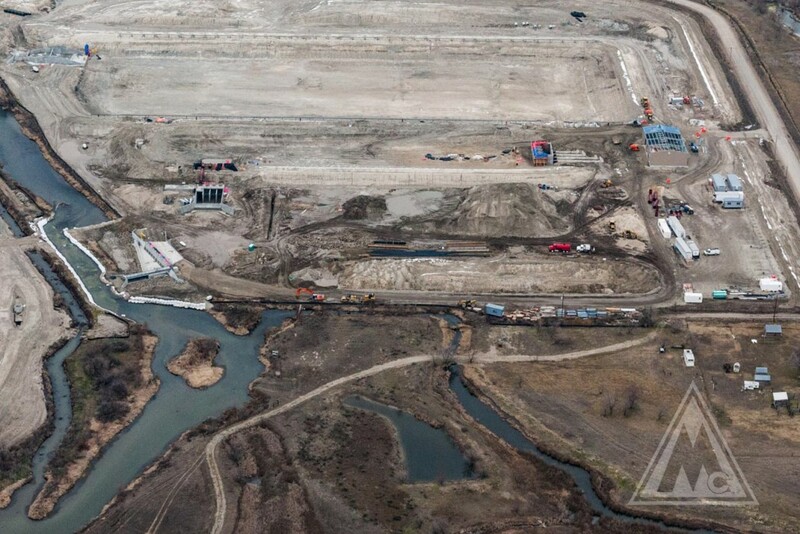 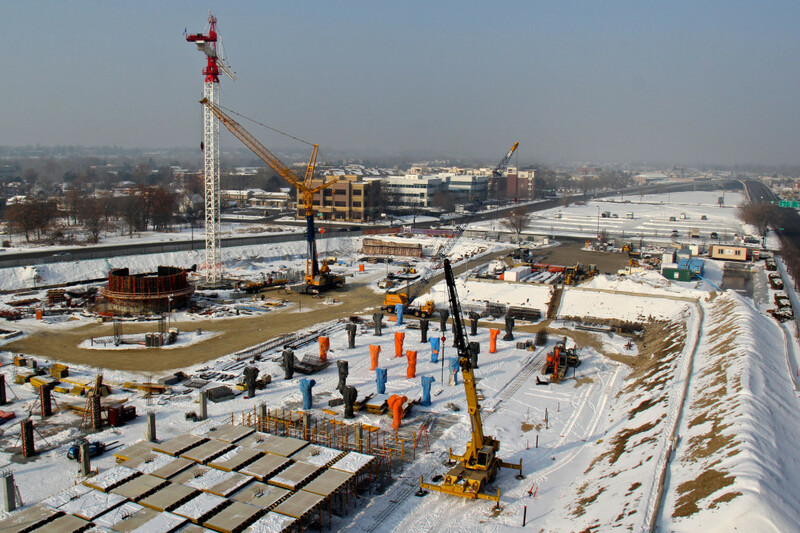 Construction was completed on an extremely tight fast-track schedule. 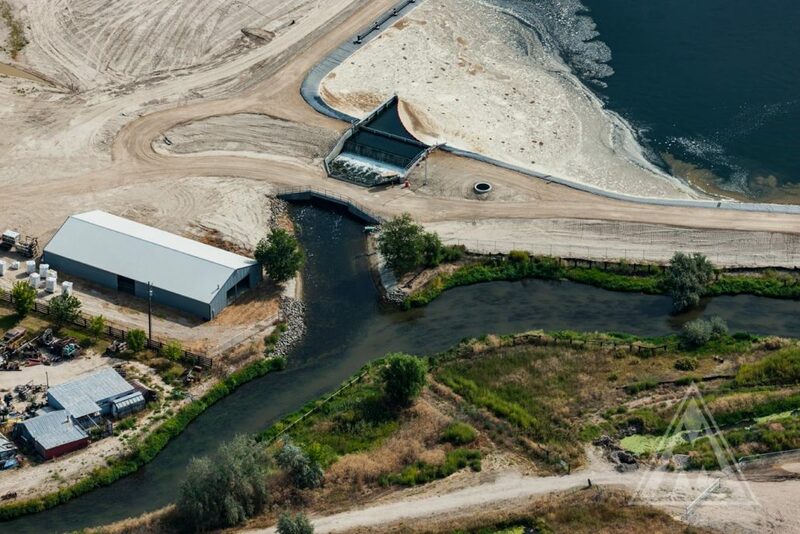 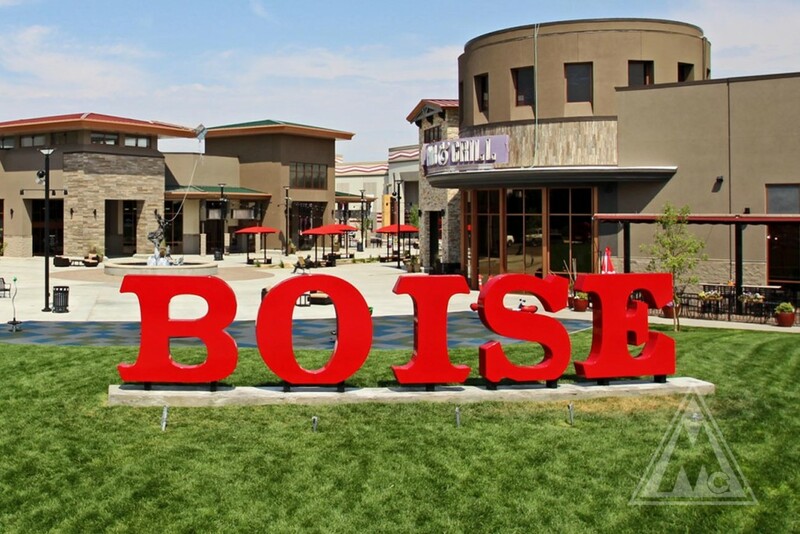 The Boise Spectrum presents an annual Summer Concert Series “Thursday Thunder” which required the project to be completed before the first show in early July. 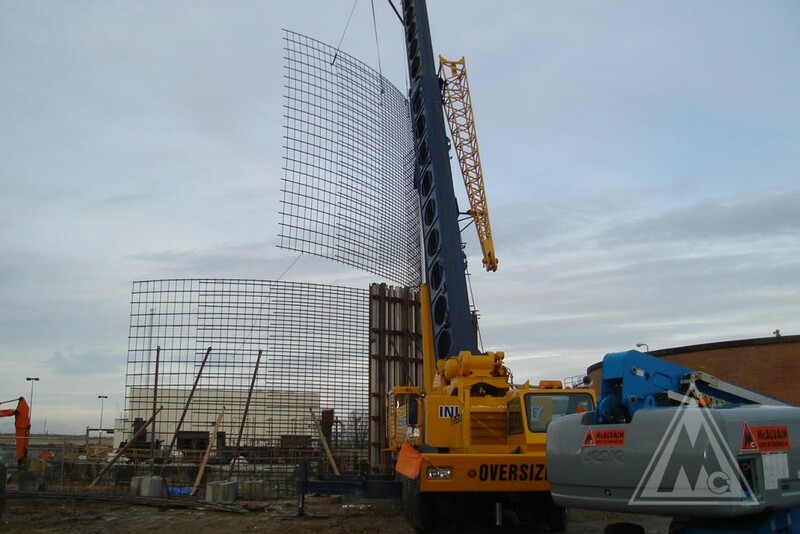 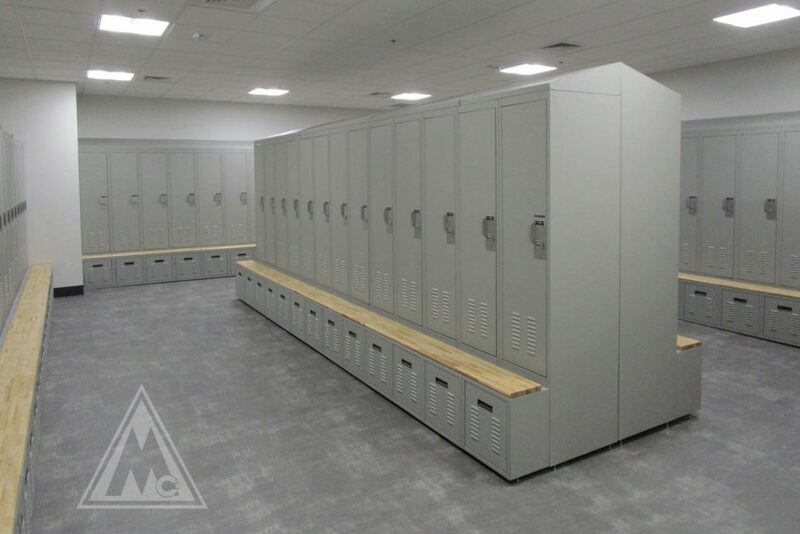 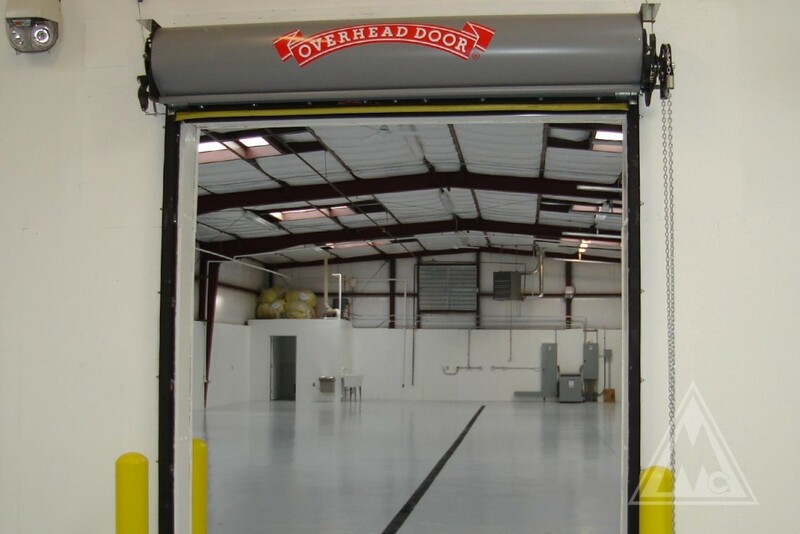 The project was completed successfully on time and on budget. 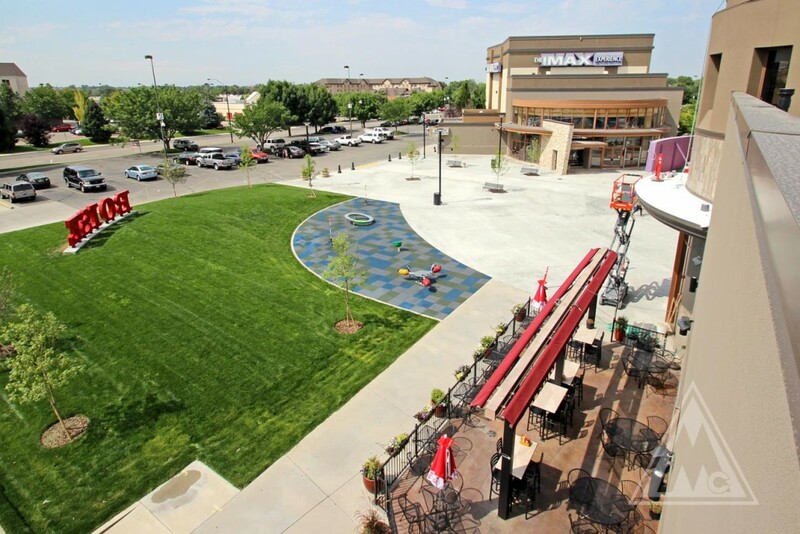 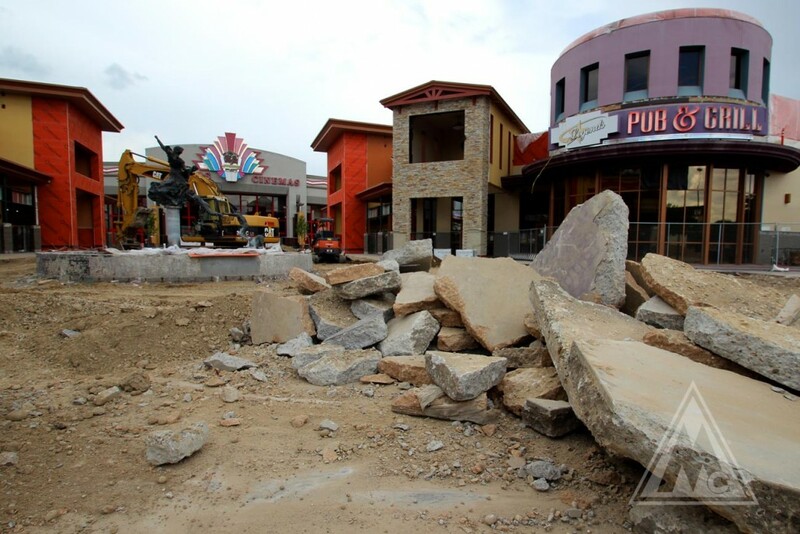 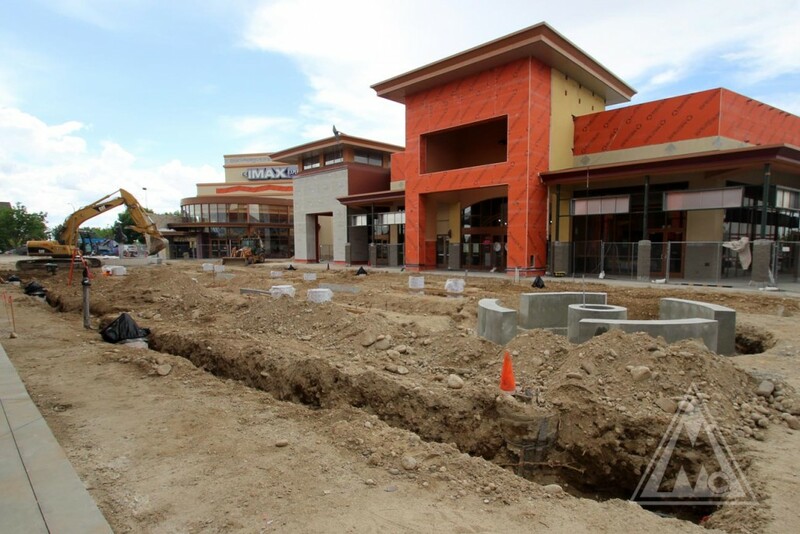 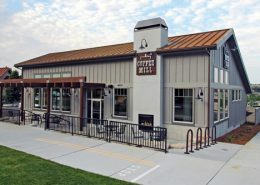 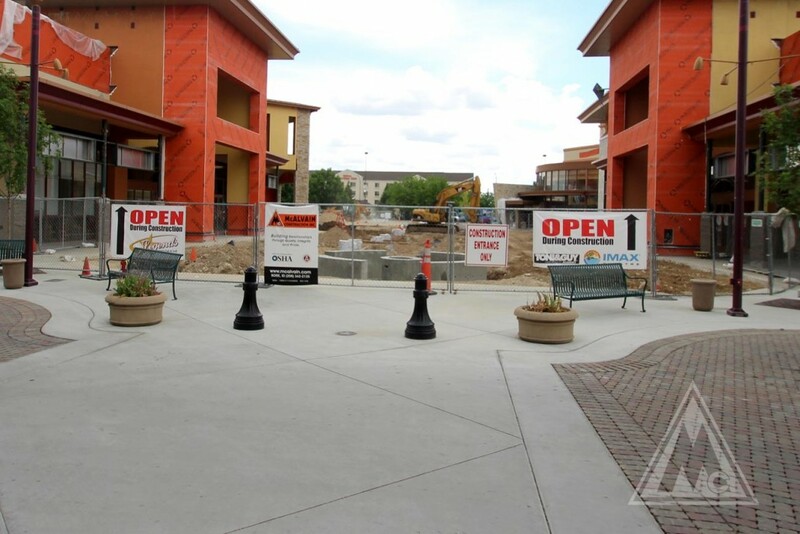 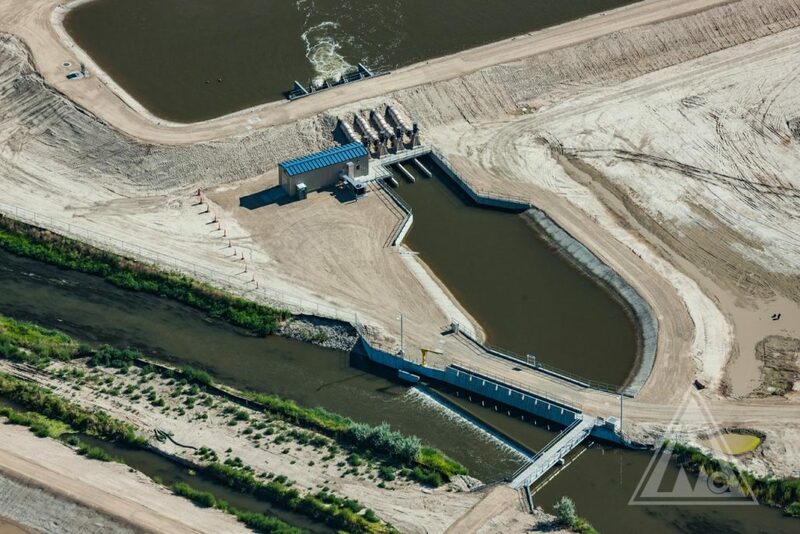 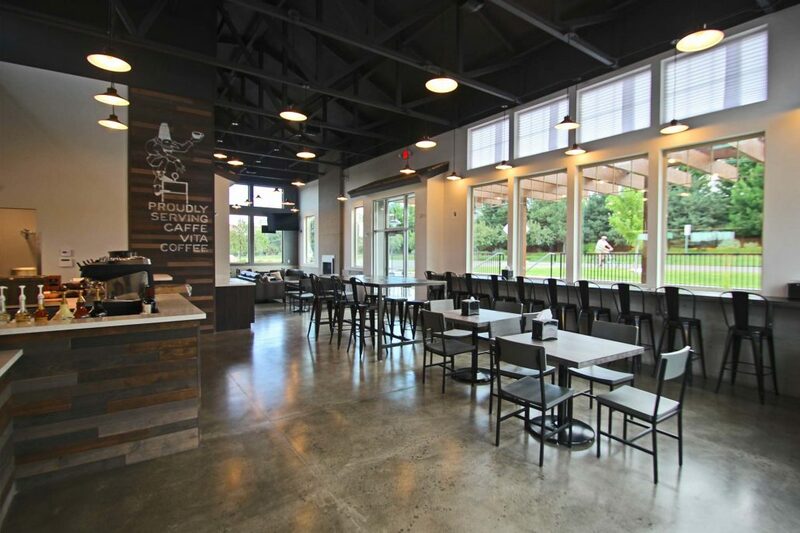 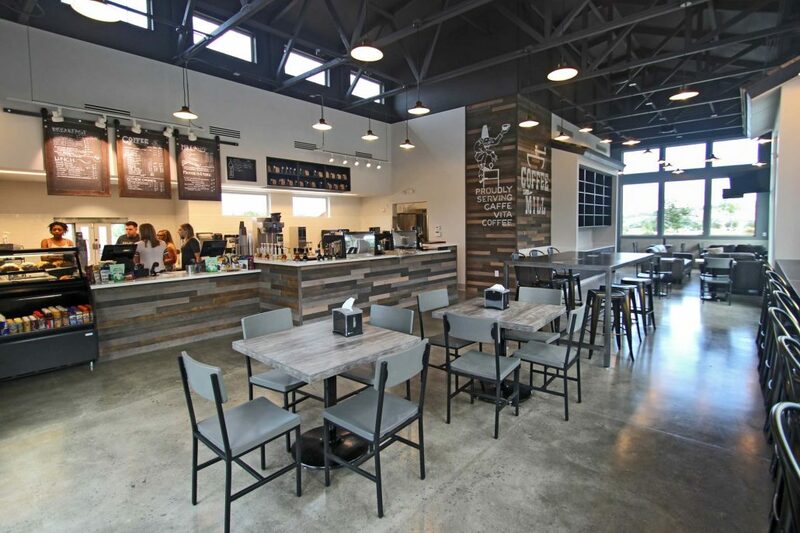 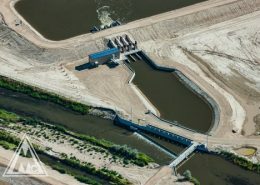 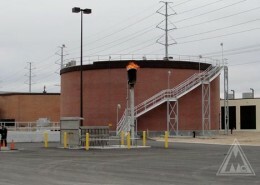 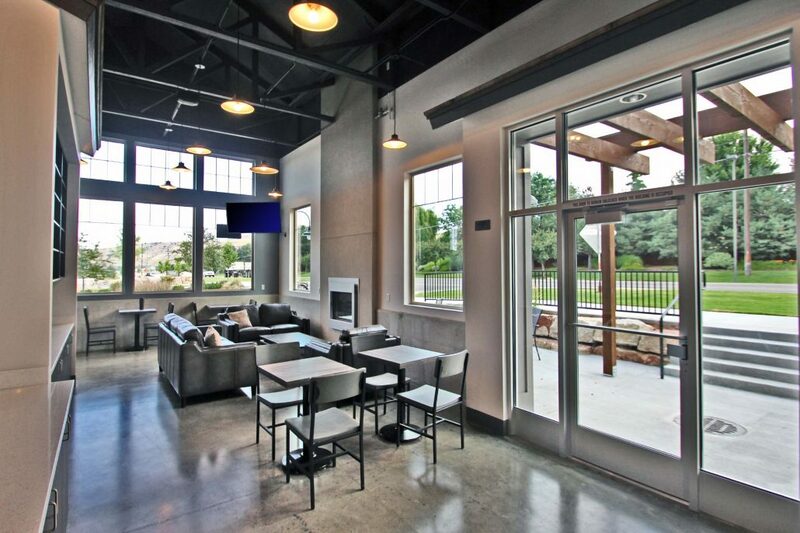 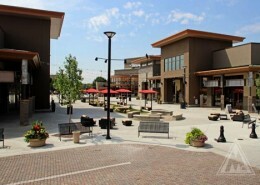 Existing Boise Spectrum businesses remained open which required coordination efforts to maintain public access throughout the revitalization project. 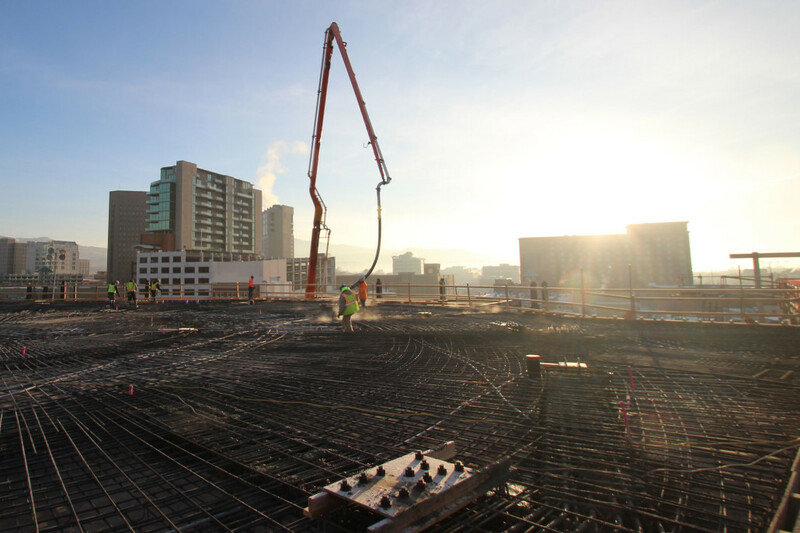 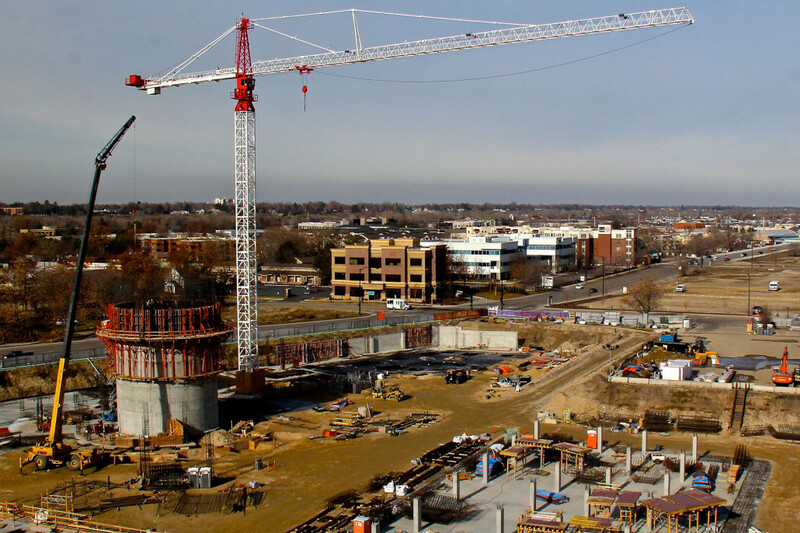 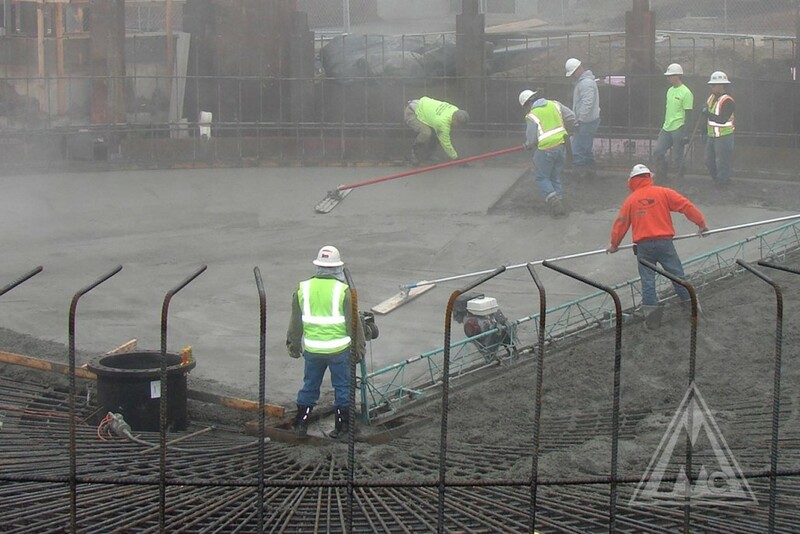 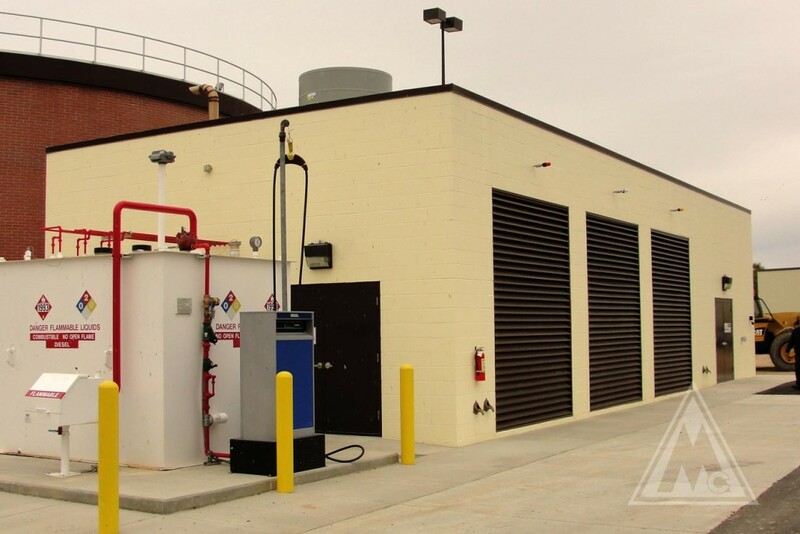 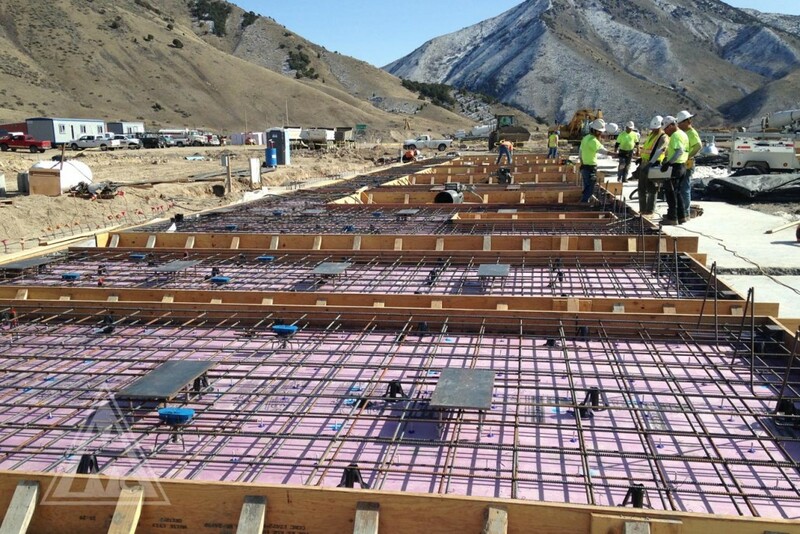 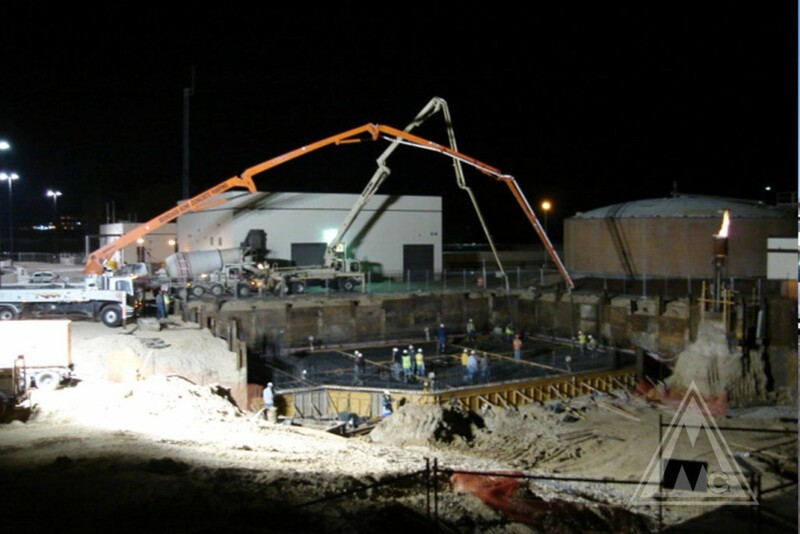 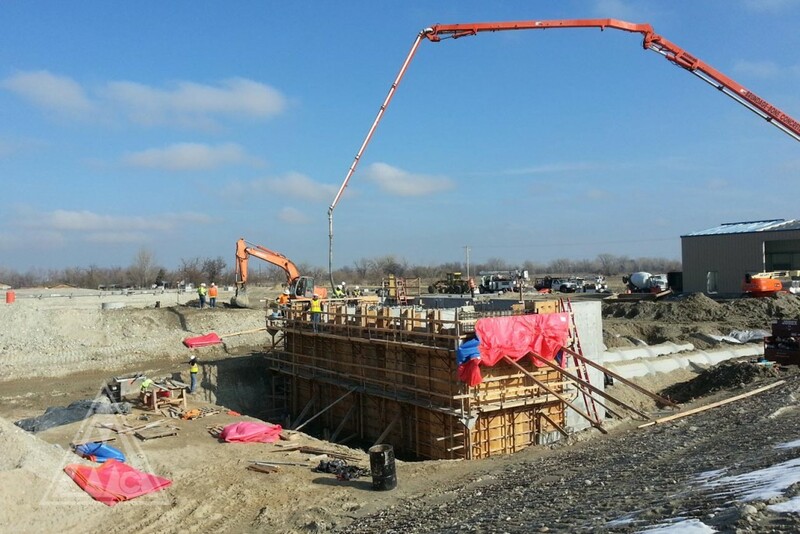 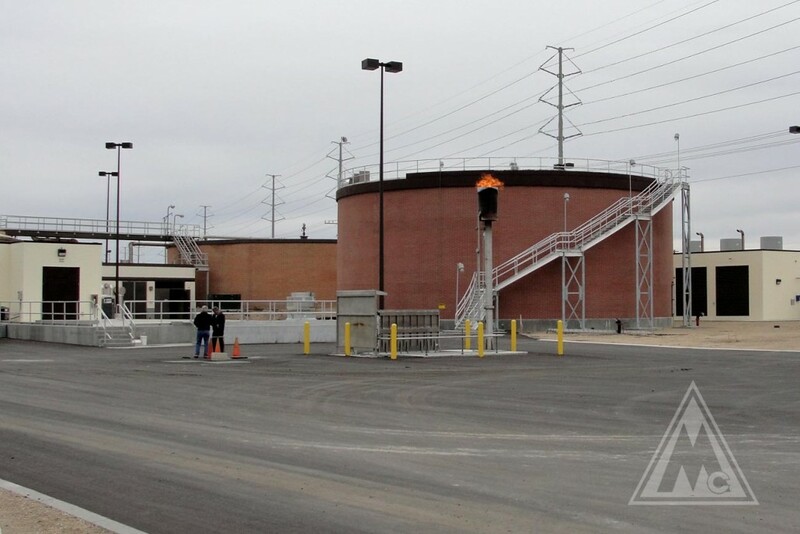 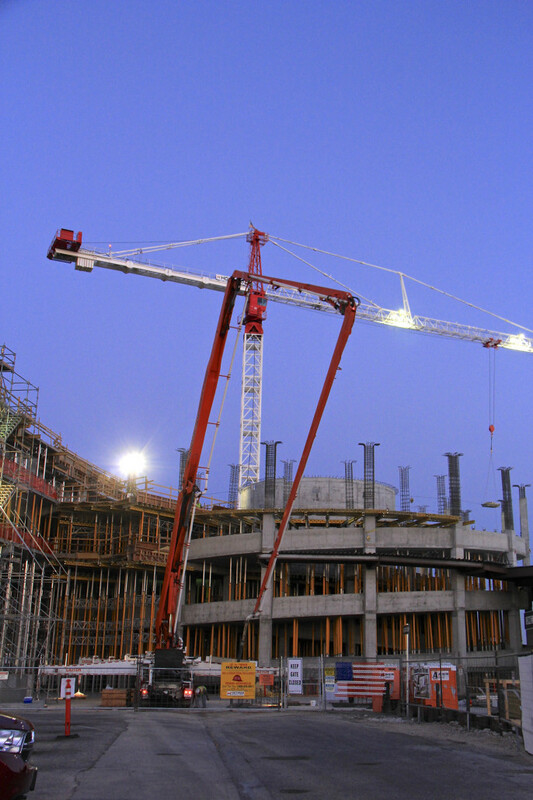 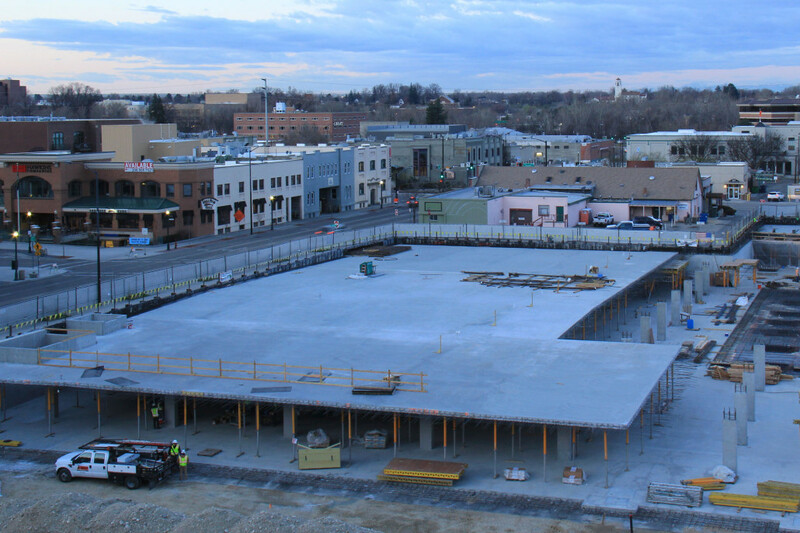 McAlvain served as the concrete contractor for the Superstructure and Phase 1 of the Below Grade Parking Garage of Jack’s Urban Meeting Place (JUMP). 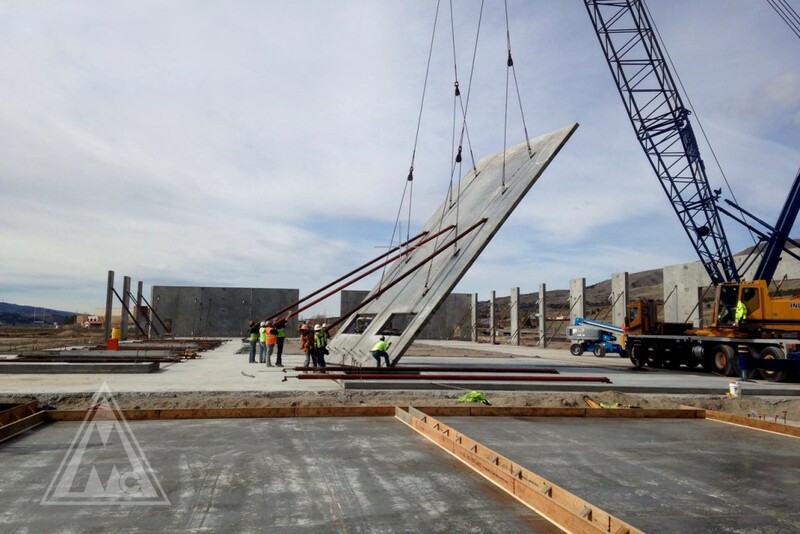 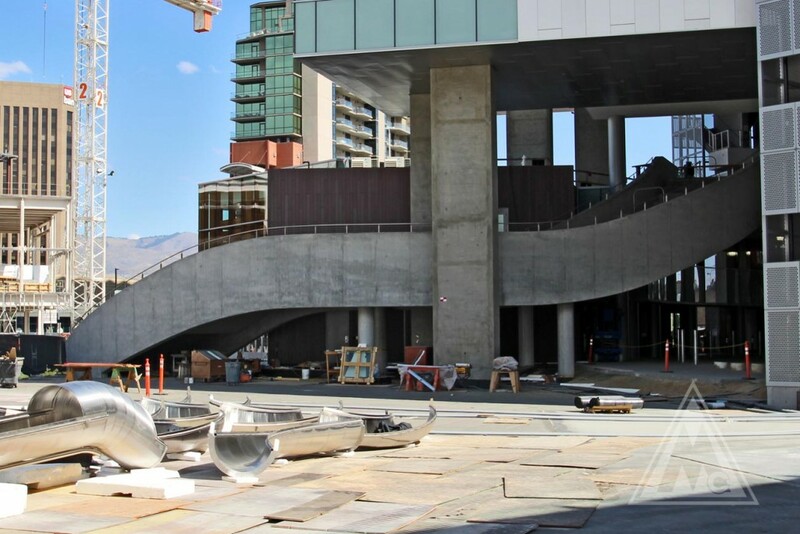 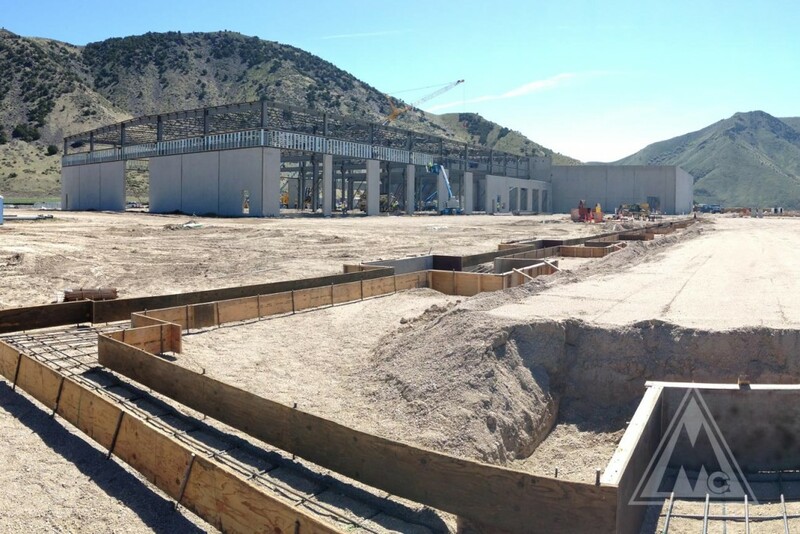 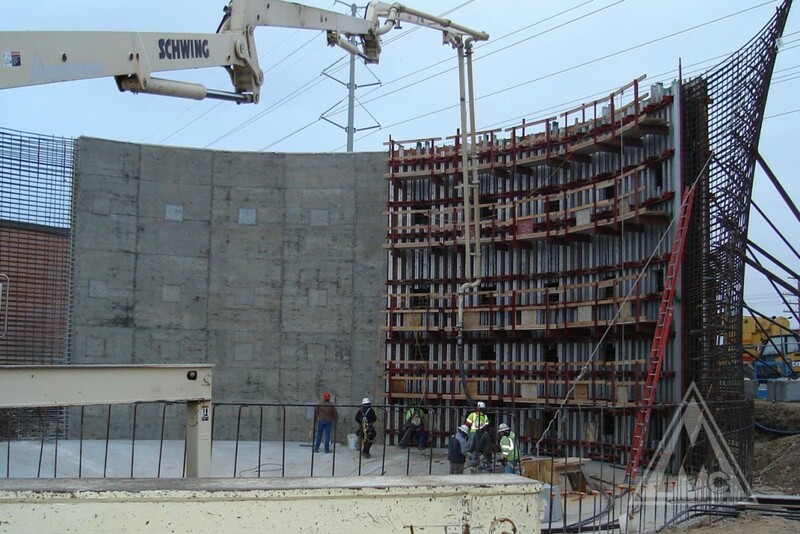 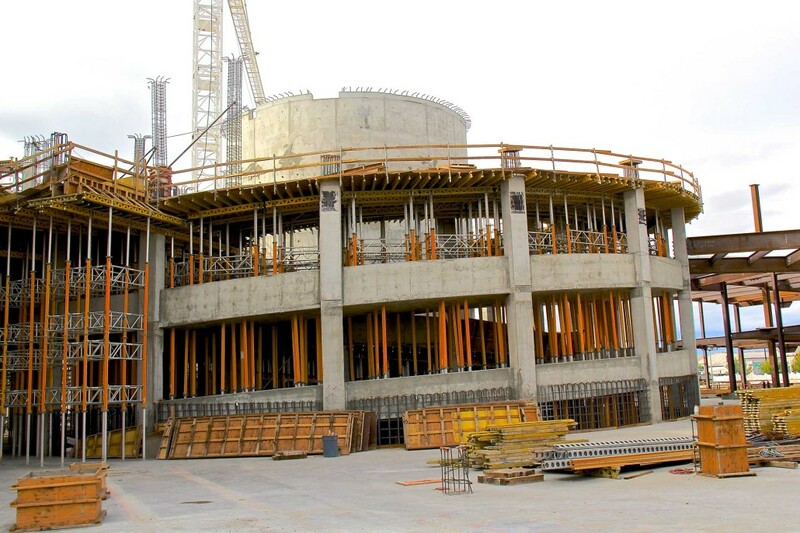 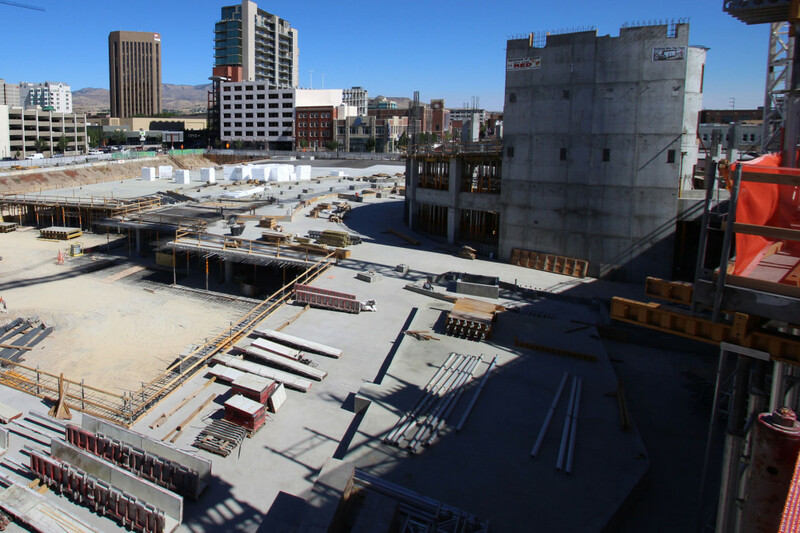 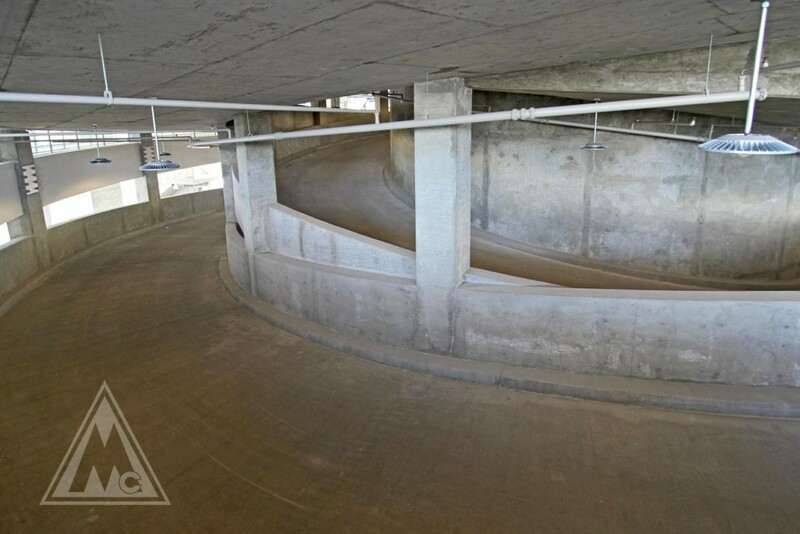 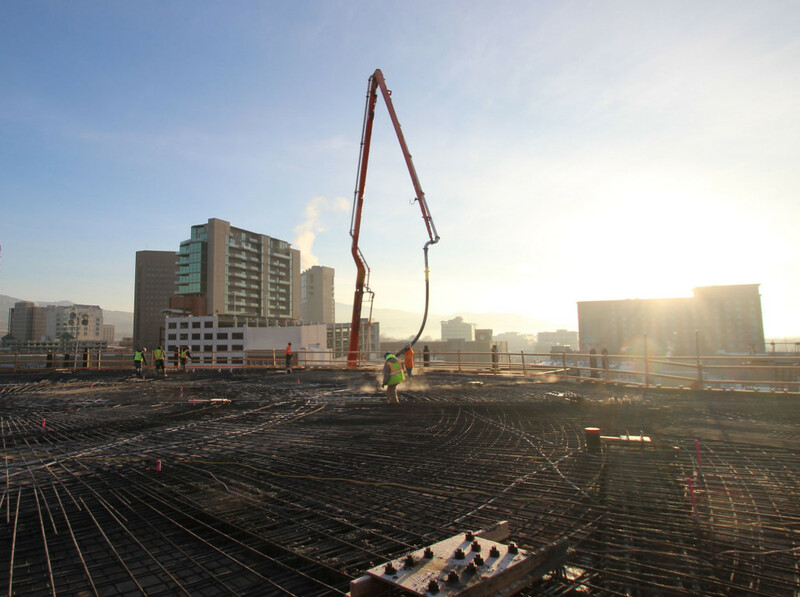 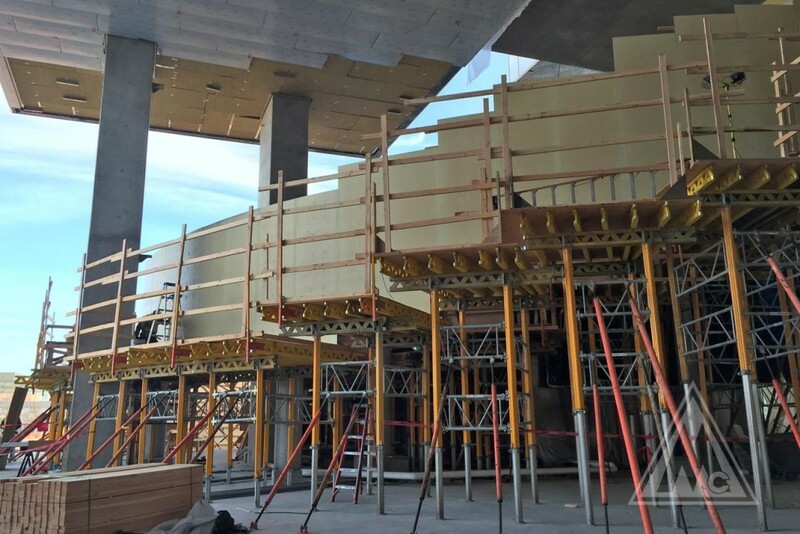 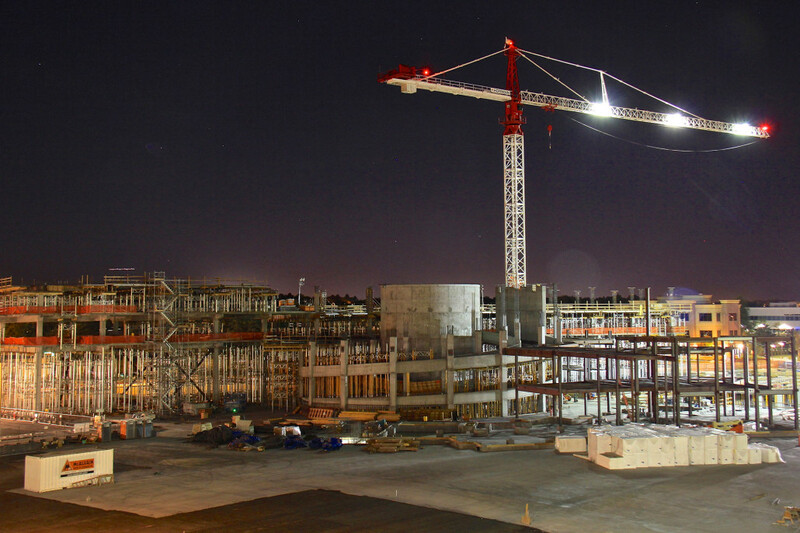 The Below Grade Parking Garage is a 190,000 sq ft cast in place concrete parking garage designed to independently support the multi-story JUMP Building to be constructed above. 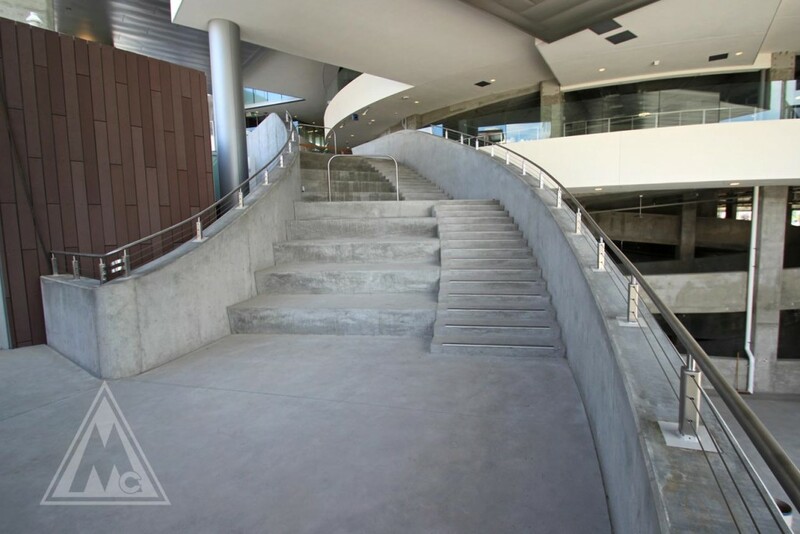 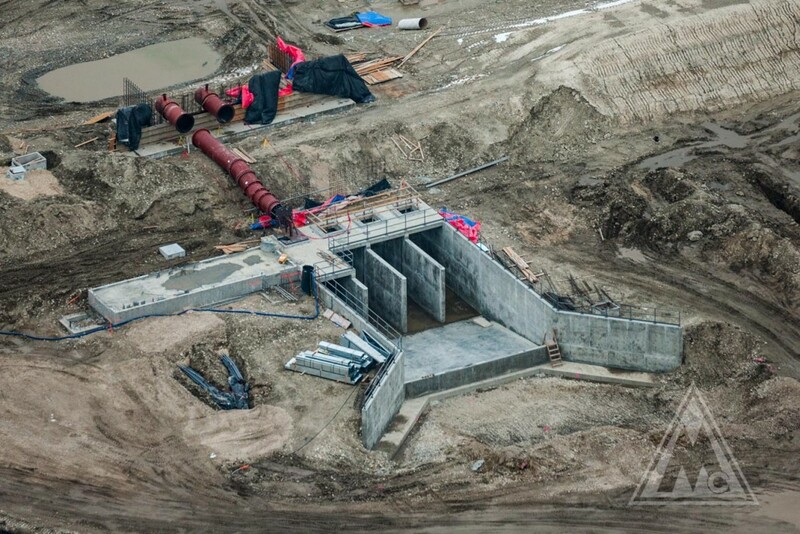 Details of the 65,000 sq ft 6 level Superstructure includes approximately 90,000 sf of Post-Tensioned Decks, Double Reversing Helix Ramp Structure and Grand Pioneer Staircase.